Perry (McGregor) and Gail (Harris) are an ordinary British couple holidaying together in Marrakech, Morocco. Whilst here, they befriend Dima (Skarsgard), a garrulous oligarch and money launderer for the Russian mafia. 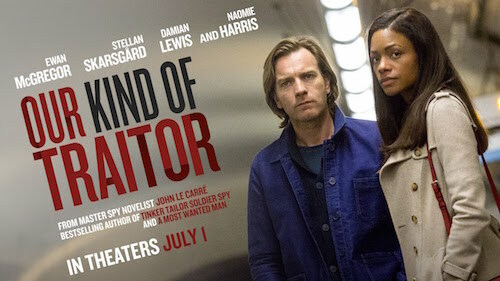 After Dima asks for their help to deliver classified information to MI6, the couple are propelled on a perilous journey, becoming embroiled in a deadly game of espionage and politics. Based on the novel by John le Carré, this gripping spy thriller delivers stylish cinematography and brilliant performances from the ensemble cast.